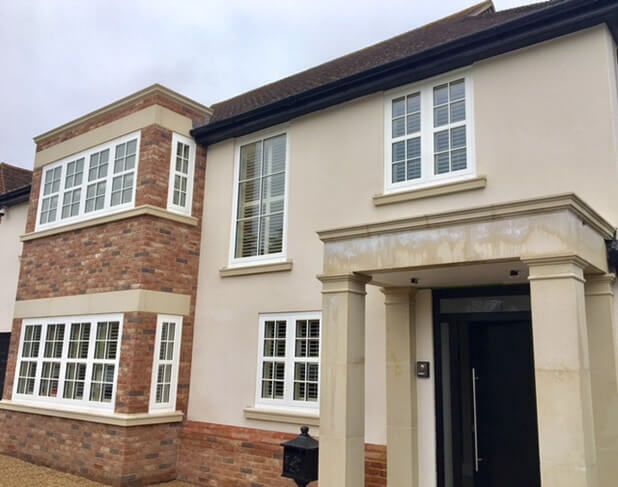 We were tasked with designing and installing shutters for this private estate in Locksbottom in our local borough of Bromley. 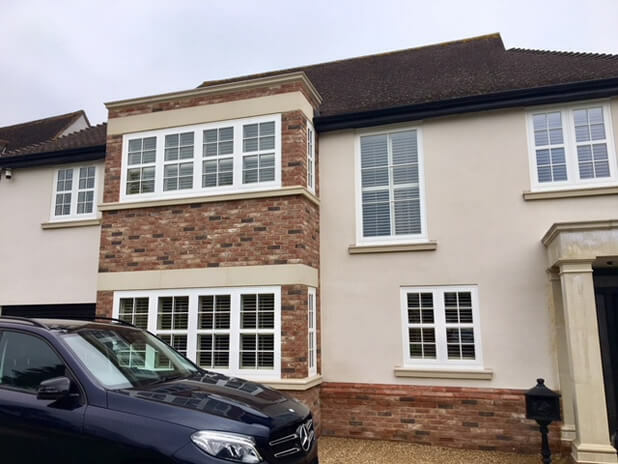 Frank the customer was looking to transform the look of his windows from inside and outside of the property, while also taking advantage of the great features that come with all our shutters over standard window dressings. All the shutters were created in full height style with mid rails throughout the home, perfectly designed around each size of window. 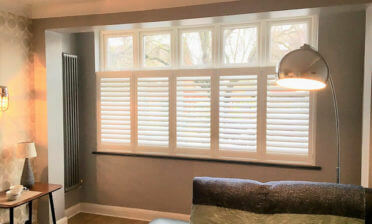 We love fully kitting out homes with our shutters, perfectly crafting the shutters to fit millimetre perfect with all windows no matter the sizing. 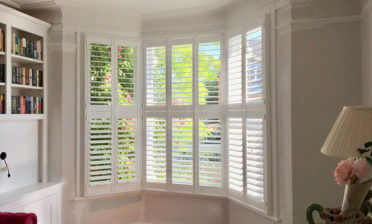 We also match the panels and rails against the existing windows and other shutters being installed. The shutters were made from our Fiji hardwood, which is Paulownia wood, the lightest in our range and the perfect choice for bigger windows and can be finished in a huge array of paints and stains. They feature centralised tilt rods adding a classic touch and ease of adjustment to a modern installation. Frank opted for a Pearl paint finish for all the shutters, complete with matching pearl hinges. 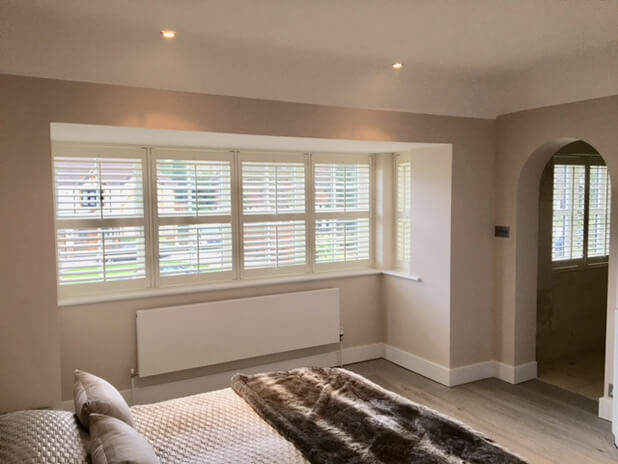 The shutters were installed using beaded stiles and deep plain L frames throughout and have completely transformed the look and feel of each room. 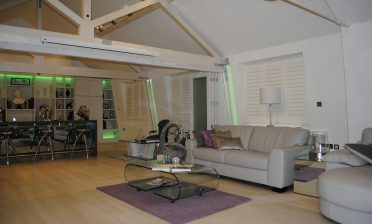 The client now has full control over the natural lighting and privacy in every room and area!